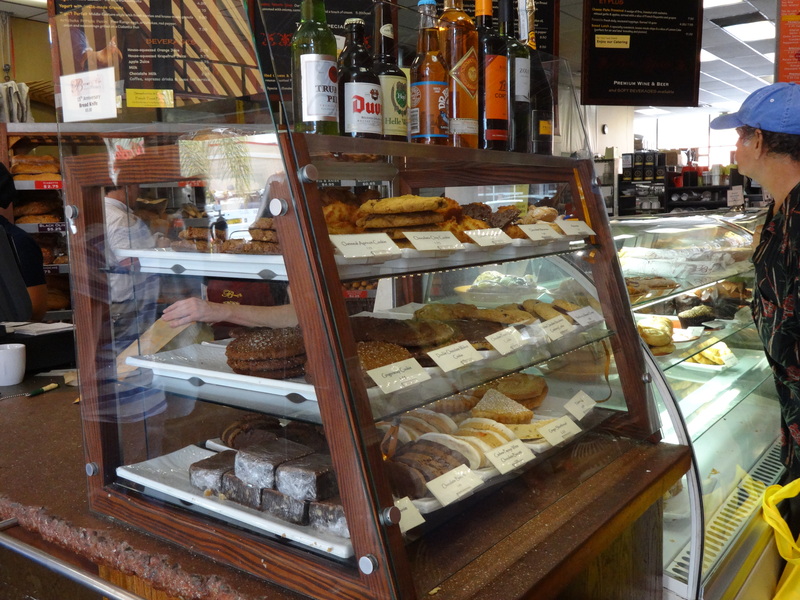 This time the bakery blog went further afield. 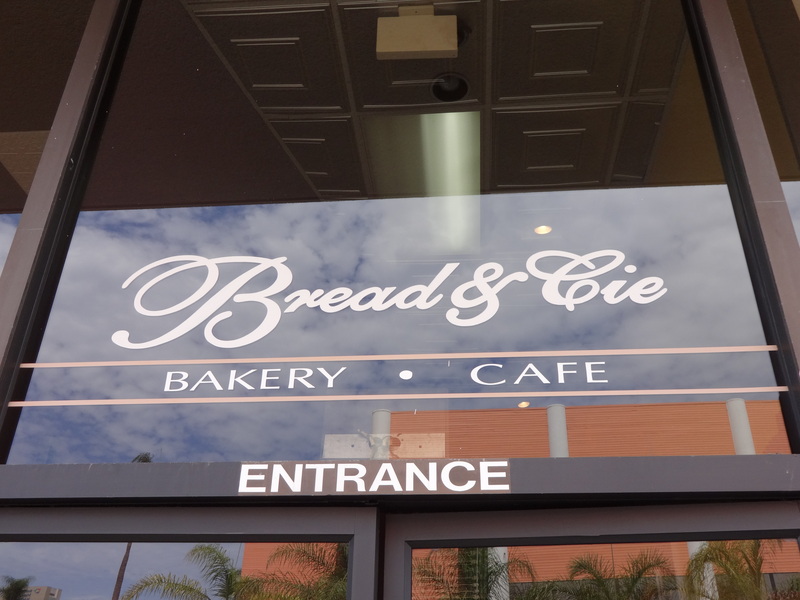 The featured bakery is Bread & Cie, located in the Hillcrest area of San Diego. 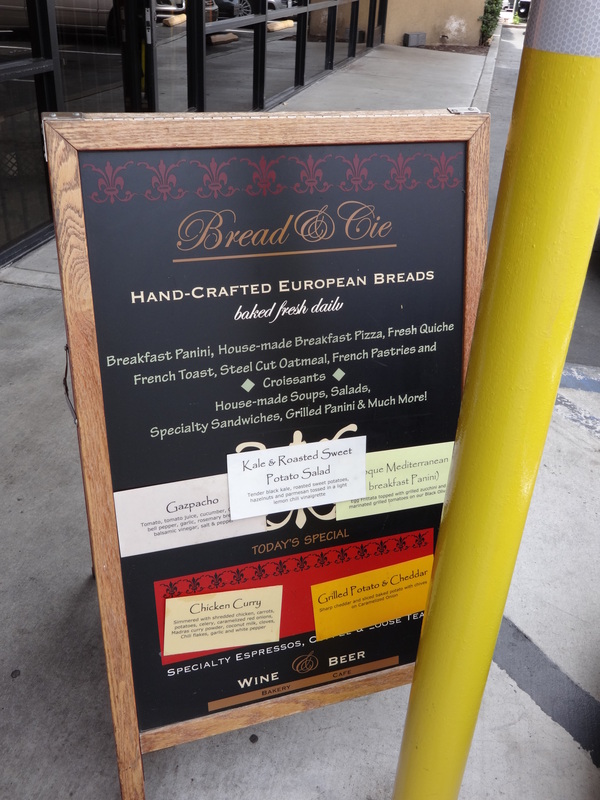 When we were on the left coast a few months ago, we stopped at Bread and Cie for breakfast and were delighted with the fare. 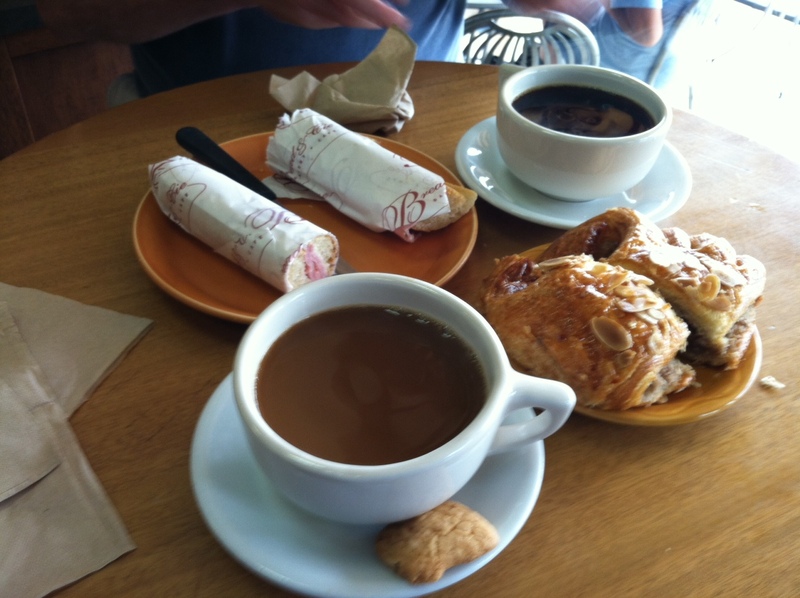 You see here a very Parisian baguette avec jambon et fromage and almond croissants with coffee – yum. 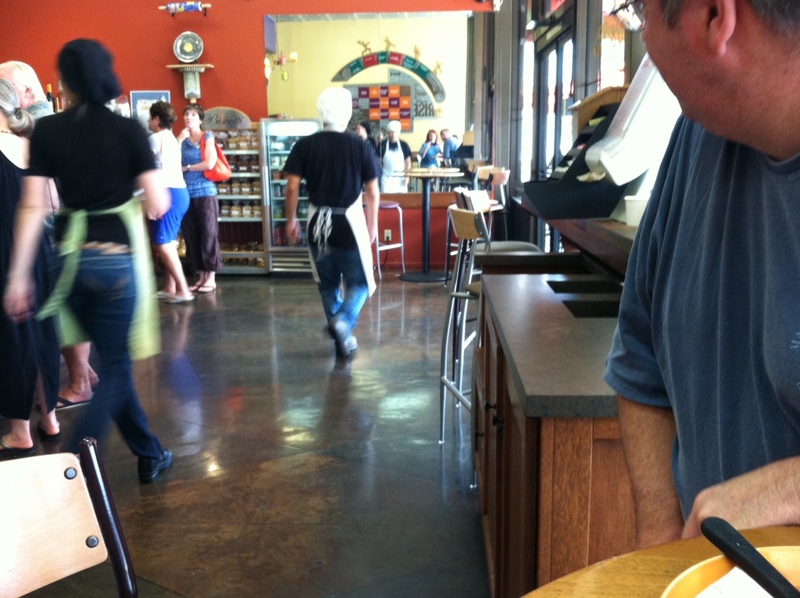 Look closely below and you can see the selfie I took in the cafe. We are sitting by the back wall and I took the photo into a large mirror. More shots to give you a feel of the place. 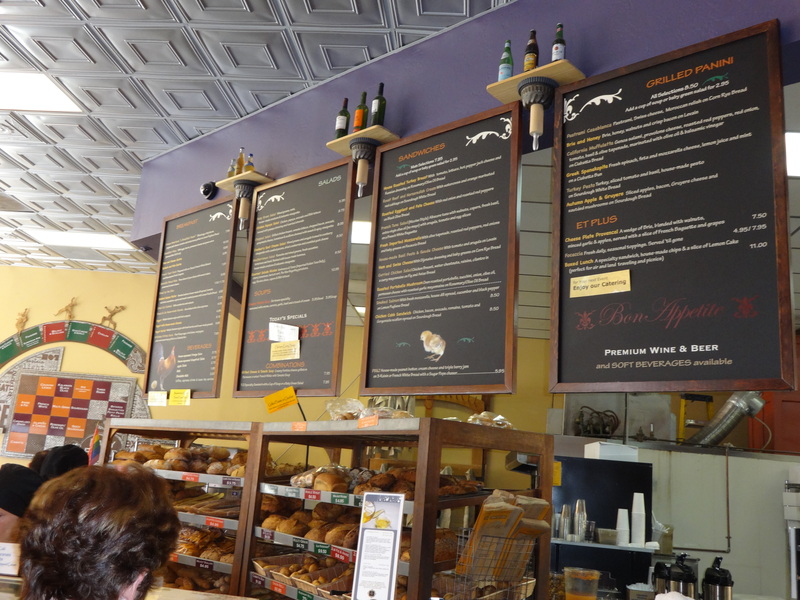 I think Bread & Cie is worth checking out if you are in the area. 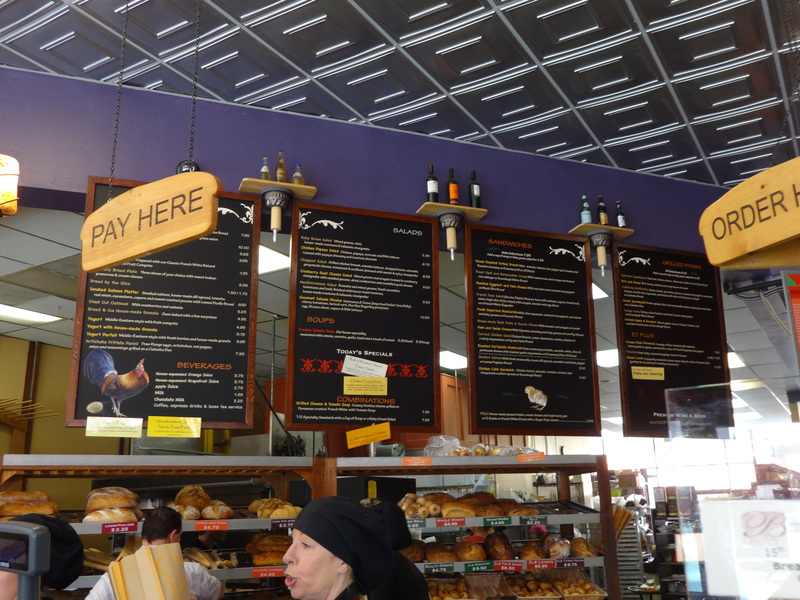 Wow, 5 blocks away and for two years I never went there. 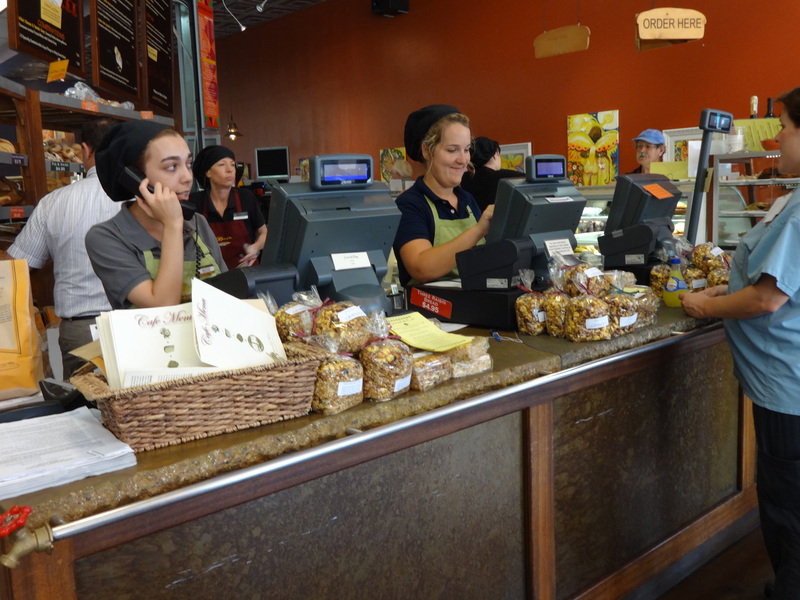 I went to Peet’s next door a hundred times though if that counts. You may have missed out for two years, but I see your photo in the mirror.